Medium format acetate negative by Esther Bubley for the Office of War Information. July 1943. Montgomery County, Maryland. 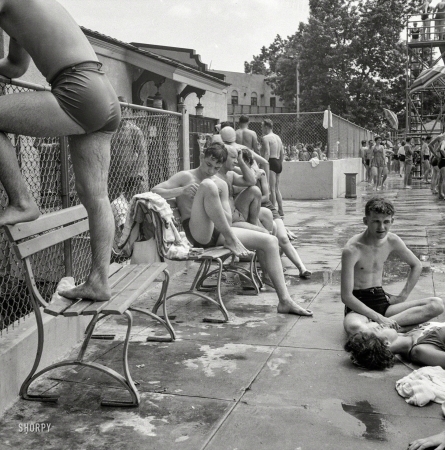 "Bathers on the side of the pool at the Glen Echo amusement park."